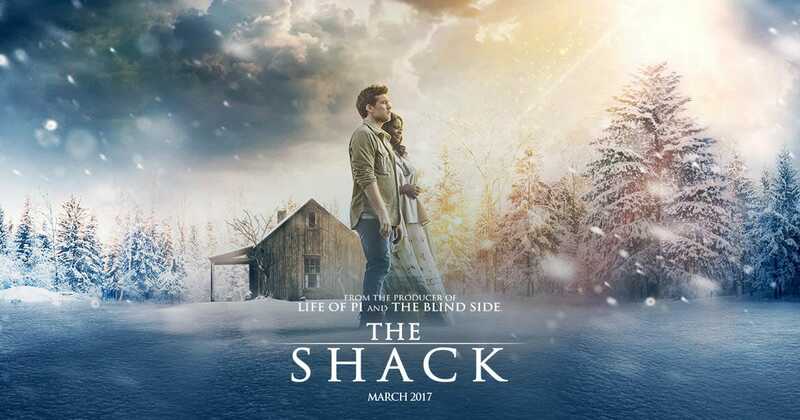 Reflections and Ruminations: A reflection on The Shack by William P Young. Several weeks ago, I managed to find time to go to the movies and watch the film rendition of William Young’s bestseller The Shack. Years ago, when the book became a sensation, I read it and thought it was a very interesting, insightful and creative book. When the book came out, it was very controversial. It still is, and there have been contentious and strident view even among theologians. Part of the problem, I think, is that this book isn’t a theological book. If it was written with theology as its raison d’etre, even I would have much to say. It’s basically a story about a man’s inner journey where he faces and heals his inner demons. In the story, Mackenzie deals with the terrible death of his youngest child who was abducted during a family picnic. But if you take some time to read or learn about Young's story of his life, it will be evident that he used this to portray his own struggle with his own inner demons, having been abused himself when he was a young man in boarding school. He initially wrote this book for his own children, at the request of his wife. He took several liberties, as authors of fiction are wont to do, to portray the characters of his story and using the tools of other subjects. I guess that the main struggle with a lot of readers is that Young's liberties were taken a tad too far. In his work, he meets God in his Trinity of persons, and God the Father is portrayed by a woman who is of African origin. It reminded me of a bumper sticker I once saw in one of my visits to America. It said “God is black, yes she is!” I remembered laughing out loud in the store when I first saw it because it had the power to destroy more than one mental image in one swift blow. It wouldn’t surprise me if Paul was inspired by that very same bumper sticker. All stories are true; some of them really happened. The story of Mackenzie and how he came to a closure as far as his daughter’s death was concerned becomes a light or a pattern of how we too need to deal with our own personal issues, demons and addictions. Of course, those of us who have great problems skirting around our very fixed notions of how God should appear will find this a great challenge. If we can just agree on the point that this is the hermeneutic that Young was using as a vehicle for his message of forgiveness and mercy, I am quite certain that the liberties that he took can be overlooked. Would I recommend this film to anyone? Perhaps not without a caveat. It is a story, and like I said, all stories are true. Some of them really happened. Some guidance would be helpful, especially if one’s notion of God and how God works are very clearly defined and demarcated. In this case then, I would rate this film PG, where one can benefit from the guidance of another who is spiritually mature. I read the Shack some time back when it was raved about....so I rifled through the pages again when I read your post on Monday....(as a refresher). I remembered I wasn't unduly disturbed by the controversies etc about the book then coz, as usual, I'm more interested in the message the writer was trying to convey especially when it's a Christian book. I like the way he writes about his pain, brokenness, the theme of love ....& forgiveness and effortlessly he weaves in how God is and works ( All 3persons of the Trinity) in his life .Through it all -what was eminently clear – was that it was not God who did not forgive him but it was Mack himself who couldn't forgive himself for the kidnapping & death of Missie. He knew (like all decent, God-fearing parents) that if you love your kids, you couldn’t, wouldn’t have been so careless or negligent as to let them disappear or get harmed. So he has been harbouring this unforgiveness and dislike of himself over the years of his “Great Sadness” Perhaps the letting go of this "demon"( as you said) would mean that his last attachment to his deceased daughter would be gone forever…? Sometimes, one has grown so attached to one's pain, suffering or demon - so used to the numbing pain ( it happens to persons in physical pain too) that one would even miss it if it were exorcised . Perhaps "it" has acquired a life of its own & like a parasite / sycophant - has entrenched its roots in the host & it would take a great force to be removed ? He seemed to say that - God is the only one whose mercy & love can forcibly pull one out of any "tomb" that one has allowed oneself to be imprisoned in……(I do agree with this). So in the book , his blossoming relationship with God - Father, Son , Holy Spirit- not only revealed to the reader- God's love & tenderness for him - but enables him to trust God more so that eventually - it was this love and trust that freed him. Thank you for bringing to awareness an interesting book & reminiscences. Watched the film after reading your post. It was good!